Description: The arrival of YF-12A (60-6936) at the NASA Flight Research Center. This aircraft was used by the Air Force crews during the joint USAF-NASA research program. This aircraft, 936, was the third YF-12A built. The first YF-12A (60-6934) flew in August 1963. Lockheed test pilot Robert Gilliland made the first flight in 936 on 13 March 1964. It later set nine world absolute speed and altitude records on 1 May 1965. Aircraft 936 participated in AIM-47 missile firing tests at Eglin AFB, Florida in 1966. It joined the USAF-NASA F-12 Test Force in 1969, and made 62 successful flights. On 24 June 1971, it was lost in an accident during the 63rd flight. A fuel line failed, causing a fire in the right engine. As the aircraft approached Rogers Dry Lake for an emergency landing, the intensity of the fire increased. Lt. Col. Ronald "Jack" Layton and Maj. Billy Curtis decided to eject, and the YF-12A nosed in and exploded. Ultimately, 935 became the workhorse of the program, with 146 flights between 11 December 1969 and 7 November 1979. The second YF-12A, 936, made 62 flights. After it was lost in a the crash on 24 June 1971, it was replaced by the so-called YF-12C (SR-71A 61-7951, modified with YF-12A inlets and engines and a bogus tail number 06937). The NASA YF-12 research program was ambitious; the aircraft flew an average of once a week unless down for extended maintenance or modification. Program expenses averaged $3.1 million per year just to run the flight tests. NASA crews for the YF-12 included pilots Fitzhugh Fulton and Donald Mallick, and flight test engineers Victor Horton and Ray Young. 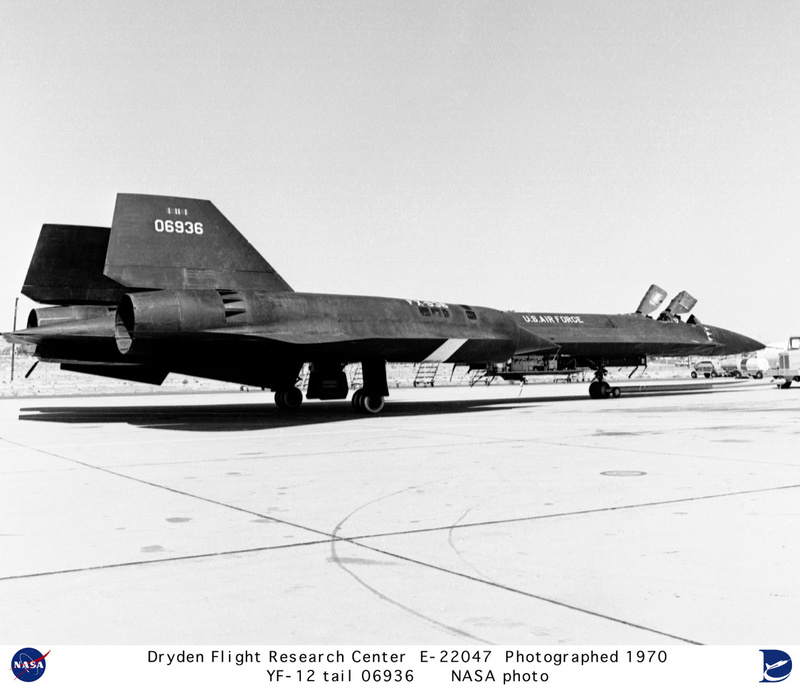 Other NASA test pilots checked out in the YF-12A included John Manke, William Dana, Gary Krier, Einar Enevoldson, Tom McMurtry, Steve Ishmael, and Michael Swann.